I na jaře je potřeba proplout parketem. Aneb stylová Electro Swing Fever se vrací do Prahy! A to rovnou se dvěma zahraničními hosty. Vystoupí italská kapela Farrapo & The Swinging Junkies, německý DJ Louie Prima a samozřejmě skvělí DJs z Electro Swing Bohemia: Swing Thing ~ DJ, Paolo di Maki a Dr. Zeppelin. 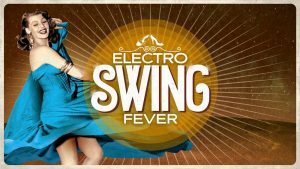 Electro Swing Fever is known as the main electro-swing party project in the Czech Republic. Come and see outstanding musicians of the genre at one place – Italian band Farrapo & The Swinging Junkies, German DJ Louie Prima and DJs from Electro Swing Bohemia (Swing Thing ~ DJ, Paolo di Maki, Dr. Zeppelin). Moreover: swing dance workshop, acrobatic show, pop-up hair & make-up salon and photoshoot corner.